None. All pieces struck at Philadelphia Mint without mint mark. The United States Sesquicentennial coin issue consisted of a commemorative half dollar and quarter eagle (gold $2.50 piece) struck in 1926 at the Philadelphia Mint for the 150th anniversary of American independence. The obverse of the half dollar features portraits of the first president, George Washington, and the president in 1926, Calvin Coolidge, making it the only American coin to depict a president in his lifetime. By the March 1925 Act of Congress, by which the National Sesquicentennial Exhibition Commission was chartered, Congress also allowed it to purchase 1,000,000 specially designed half dollars and 200,000 quarter eagles, which could be sold to the public at a premium. The Commission had trouble agreeing on a design with Mint Chief Engraver John R. Sinnock, and asked Philadelphia attorney, arts patron and numismatist John Frederick Lewis (1860–1932) to submit sketches. These were adapted by Sinnock, without giving credit to Lewis, whose involvement would not be generally known for forty years. Both the quarter eagle, designed by Sinnock, and the half dollar were struck in the maximum number authorized, but many were returned to the Mint for melting when they failed to sell. The Liberty Bell reverse for the half dollar was later reused by Sinnock, again without giving Lewis credit, on the Chief Engraver's Franklin half dollar, which was first minted in 1948. Legislation for a commemorative coin to mark the 150th anniversary of American independence was introduced on behalf of the United States National Sesquicentennial Exhibition Commission, which was charged with organizing what became known as the Sesquicentennial Exposition in Philadelphia. In the Act of March 3, 1925, Congress both chartered the Commission and allowed one million half dollars and 200,000 quarter eagles to be struck in commemoration of the Sesquicentennial of American Independence. These coins would be sold only to the Commission, at face value; it could then retail them to the public at a premium. Profits would go to financing the Exposition. The original version of the bill, introduced in the House of Representatives on February 16, 1925 by Pennsylvania Congressman George P. Darrow and in the Senate by that state's George W. Pepper, called for a $1.50 gold coin for the 150th anniversary, for commemorative half dollars, and for a $1 bill honoring the Declaration of Independence. 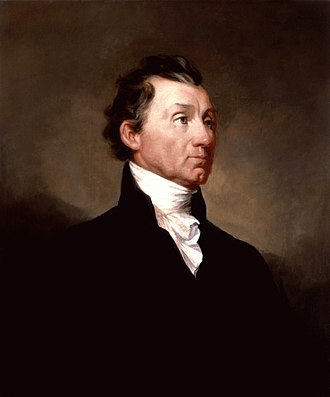 A hearing was held before the House Committee on Industrial Arts and Expositions two days later, at which Congressman Darrow predicted that the $1.50 gold pieces would not be opposed by either the Treasury or the Committee on Coinage, Weights, and Measures, but he was incorrect; Treasury Secretary Andrew W. Mellon would not support them. 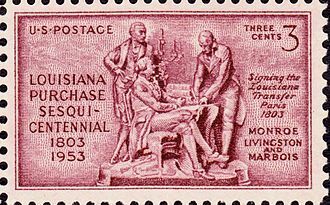 The Commission also hoped to have commemoratives depicting the enlargement of the country through acquisitions such as the Louisiana Purchase and the Annexation of Texas, but these were not included in the final version of the bill. Nevertheless, the Commission continued to pursue congressional approval of the $1.50 piece and the other proposed commemoratives at least through August 1925. In May, H. P. Caemmerer, secretary of the Commission of Fine Arts, a body charged with making recommendations on the approval of coinage design, wrote to the Sesquicentennial Commission, asking what they proposed to do about the coins. Having received no reply, he wrote again in late August, this time to Milton Medary, a member of the Fine Arts Commission, asking what progress had been made. Medary replied that the Sesquicentennial Commission was in touch with the new Chief Engraver at the Philadelphia Mint, John R. Sinnock (his predecessor, George T. Morgan, had died in January), but that Sinnock had not yet submitted satisfactory designs. Apparently dissatisfied with Sinnock's work, the Sesquicentennial Commission hired John Frederick Lewis to create designs. Lewis, who served as president of the Pennsylvania Academy of Fine Arts from 1906 until his death in 1932, was known as a numismatist, but not as an artist. On December 8, 1925, Sesquicentennial Commission director Asher C. Baker submitted Lewis's sketches, which appear much like the present half dollar, to Fine Arts Commission chairman Charles Moore. Baker referred to Lewis's "designs for the coins", which may mean that he submitted sketches for the quarter eagle as well, but if so, they are not extant and were not acted upon by the Fine Arts Commission. The half dollar designs were approved by the Fine Arts Commission, on condition the sketches were converted into models by a competent sculptor, and Moore sent them on December 11 to Mint Director Robert J. Grant. The resultant plaster models, made by Sinnock, were submitted to the Fine Arts Commission on March 13, 1926, and were undoubtedly endorsed, but the approval letter is lost. Sinnock's sketches for the quarter eagle were sent to the Fine Arts Commission on February 27, 1926, and were forwarded to sculptor member Lorado Taft for his views. Moore sent his commission's approval to Grant on March 26, with several recommendations, including that the motto E Pluribus Unum, present on the obverse in Sinnock's sketches, and the sun's rays on the reverse, be omitted. 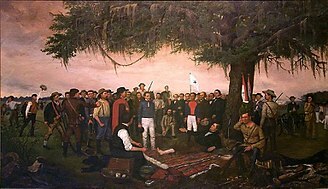 The rays were not removed, and the motto was moved to the reverse. Approval of the models followed in April, again with minor suggestions. The obverse of the half dollar features jugate busts of George Washington, first president of the United States, and Calvin Coolidge, the president in 1926. According to Anthony Swiatek and Walter Breen, "both were mistakes. 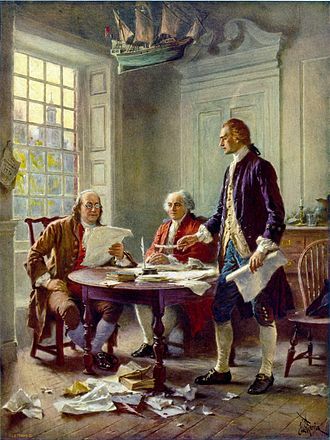 Washington was not president of the Continental Congress in 1776, and Coolidge's likeness was illegal. By an 1866 Act of Congress, no living person could be portrayed on U.S. coins or currency; but this law had been many times violated and would be again." Although Sinnock had not previously designed a coin showing a president, he had created presidential medals under Chief Engraver Morgan's direction. Other living Americans, including Virginia Senator Carter Glass, have appeared on commemorative coinage, but Coolidge is the only president to appear on a U.S. coin in his lifetime. The Liberty Bell appears on the reverse, making the Sesquicentennial half dollar the first U.S. coin to bear private advertising—that is, the legend "Pass and Stow" on the bell, for the long-defunct partnership of John Pass and John Stow, who recast the bell after it initially broke in 1752. 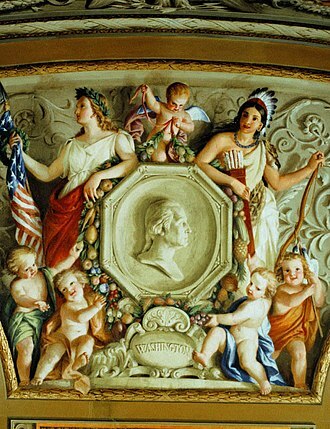 Sinnock's initials JRS are on the obverse, on the truncation of Washington's bust. The Bicentennial half dollar resembles the earlier quarter eagle. Swiatek and Breen describe the obverse of the quarter eagle as "very Art Deco". 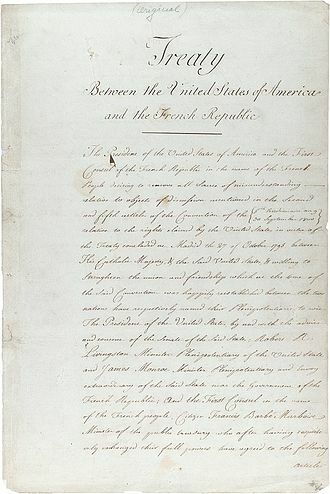 Liberty appears on it, wearing a liberty cap and holding both a scroll representing the United States Declaration of Independence and a torch likely intended to recall the Statue of Liberty. The reverse depicts Independence Hall, where the Declaration was signed, and the rising sun behind it. Sinnock's initials are to the right, above the right wing of the building. Bowers pointed out that the depiction of Independence Hall closely resembles that on the Bicentennial half dollar, struck a half century later. As no clock hands are seen on the bell tower of the building on the quarter eagle, it is not possible to say what time is intended—on the Bicentennial half dollar, the time is 3:00. At the insistence of the Sesquicentennial Commission, the coins were minted in very shallow relief, and thus struck up poorly. Coin dealer and numismatic author Q. David Bowers opined, "from the standpoint of aesthetic appeal the [half dollar] is at the bottom of the popularity charts along with the 1923-S Monroe half dollar". Art historian Cornelius Vermeule took a more positive view of the two coins. Commenting on the half dollar obverse, he praised its technical aspects, showing the Mint had learned something from earlier attempts at coin redesign. He admired the reverse, calling the bell and the lettering "jewels of precision". For the quarter eagle obverse, with its figure of a robed Liberty standing on a globe, Vermeule suggested that Sinnock "revert[ed] in part to the allegorical iconography of the nineteenth century." 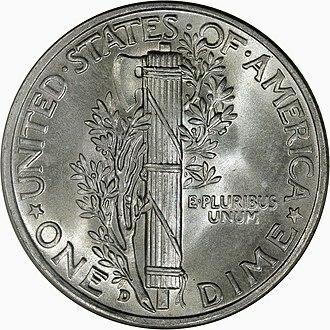 He felt that the Liberty allegory is too blatant, with scroll and torch, and noted that Sinnock eventually found a more proper place for his torch on the Roosevelt dime (1946). The figure itself, despite classical robes, "looks more like a 'flapper' of the 1920s. Her cloth cap accentuates this," according to Vermeule. The reverse, in Vermeule's view, was part of a tradition of realistic views of structures on U.S coins that would repeat itself with the Jefferson nickel (1938). Sinnock's later Franklin half dollar reproduces the Liberty Bell from the commemorative half; his Roosevelt dime evokes the torch from the quarter eagle. The first Sesquicentennial half dollar was coined by Philadelphia Mayor W. Freeland Kendrick at a special ceremony at that city's mint on May 19, 1926. It was presented to President Coolidge when he visited the Exposition and today rests in the Calvin Coolidge Presidential Library and Museum. Lewis, in a May 5 letter to Mint Director Grant, had indicated his (mistaken) understanding that a mark was placed on the first 1,000 coins struck to distinguish them and proposed that it be "K" for Kendrick; this was not done. The Philadelphia Mint coined 1,000,528 of the half dollars at the behest of the Commission in May and June 1926, with the excess over the authorized mintage reserved for inspection and testing at the 1927 meeting of the United States Assay Commission. They also had the mint strike 200,226 quarter eagles in May and June, with the excess also set aside for the Assay Commission. The gold piece was the second quarter eagle to be a commemorative, after the Panama–Pacific issue of 1915. No further gold commemoratives, of any denomination, would be issued by the Mint Bureau until 1984, when a $10 piece was issued for the Los Angeles Olympics. The Sesquicentennial Exposition opened in Philadelphia on June 1, 1926, financed in part by $5 million in bonds floated by the city. Work had not been completed on many of the exhibits and construction continued to the close of the fair. Nevertheless, there were many scientific, artistic, and commercial displays. Most firms that exhibited lost money by their participation, as did the city, and according to Bowers, "in the annals of fairs and expositions in the United States, the Sesquicentennial event earns a low rating." Sales of coins at the Exposition were handled by the Commission; those by mail were dealt with by the Franklin Trust Company. The half dollar was priced at $1, and the quarter eagle at $4; however they did not sell well and the Commission's belief it could sell the entire mintage proved wildly optimistic. Although six million people visited the Exposition, 859,408 of the 1,000,000 half dollars were returned to the mint for melting. Similarly, 154,207 quarter eagles of the mintage of 200,000 were returned for melting. This did not take place all at once: 420,000 half dollars had been returned by January 1930, with the rest later. According to coin dealer B. Max Mehl in his 1937 volume on commemoratives, "Philadelphia with a population of over 2,000,000 people ... could and should have sold a greater number of coins". Arlie R. Slabaugh wrote in his 1975 book on the same subject, "we have been called complacent about our independence and the American way of life in recent years—judging by the sale of these coins, it must have been much worse in 1926!" Sinnock reused the reverse for the Franklin half dollar, first struck in 1948, the year after his death. Mint and other publications gave credit for both coins' designs only to Sinnock until Don Taxay published his An Illustrated History of U.S. Commemorative Coinage in 1967, disclosing Lewis's involvement. Taxay referred to "the Mint's ... final, deliberate misattribution of the artist who designed the half dollar" and wrote, "perhaps after these forty years, it is time for a new credit line". Bowers noted, "Lewis and Sinnock should share the credit." R. S. Yeoman's A Guide Book of United States Coins (2015 edition) notes the involvement of both men, and values the half dollar at $90, with the quarter eagle beginning at around $450, though higher-graded coins may sell for more. Many are known in circulated condition. ^ a b c Taxay, p. 111. ^ a b c d e Bowers, p. 226. ^ a b c d Flynn, p. 169. ^ a b Taxay, p. 112. ^ Taxay, pp. 112, 117. ^ a b Swiatek & Breen, p. 221. ^ Swiatek & Breen, pp. 221–222. ^ a b Vermeule, p. 172. ^ a b Vermeule, p. 173. ^ a b Swiatek, p. 187. ^ Bowers, pp. 226, 228. ^ Bowers, p. 227 n.1. Mehl, B. Max (1937). The Commemorative Coinage of the United States. Fort Worth, TX: B. Max Mehl. Slabaugh, Arlie R. (1975). United States Commemorative Coinage (second ed.). Racine, WI: Whitman Publishing (then a division of Western Publishing Company, Inc.). ISBN 978-0-307-09377-6. Yeoman, R.S. (2014). A Guide Book of United States Coins 2015 (68th ed.). Atlanta, GA: Whitman Publishing LLC. ISBN 978-0-7948-4180-5. John Ray Sinnock was the eighth Chief Engraver of the United States Mint from 1925 to 1947. Sinnock was the designer of the Roosevelt dime and Franklin half dollar and his initials can be found at the base of the Roosevelt and Franklin busts. He sculpted, although did not design, the Purple Heart medal, Sinnock was born July 8,1888 in Raton, New Mexico and was educated at the Philadelphia Museum School of Industrial Art. His longtime confidant was Margaret Campbell who inherited much of his artwork as well as his collection of materials related to the development of the Roosevelt Dime. For ten years Sinnock was an art instructor at both his alma mater and at Western Reserve University and he was appointed Assistant Engraver and Medallist at the Philadelphia Mint in 1917 before becoming the Chief Engraver in 1925. Upon the initial minting of the Roosevelt dime in 1946, a false narrative arose in the United States that the letters JS actually stood not for John Sinnock, the urban folk story coincided with the Second Red Scare. Commemorative coins are coins that were issued to commemorate some particular event or issue. Most world commemorative coins were issued from the 1960s onward, although there are examples of commemorative coins of earlier date. Such coins have a design with reference to the occasion on which they were issued. Many coins of this serve as collectors items only, although some countries are issuing commemorative coins for regular circulation. Vast numbers of coins are continuously being issued, highlighting ancient monuments or sites, historical personalities. While such thematic coins may or may not commemorate any event or jubilee. Circulating commemoratives are intended to be used for commerce, but the design will only be issued for a time, is intended to draw some attention to a specific event or person. Examples include the €2 commemorative coins, or U. S.50 State Quarters, non-circulating legal tender are coins which are legal tender, and thus can in theory be used to purchase goods or services, but are not intended to be used in such a manner. Rather, they are intended to be used only as souvenirs, the coins issued by any state have always reflected the current political or economic situation. Many ancient and pre-modern coins certainly commemorate events in contemporary times, for instance, Roman coins often have references to military campaigns and the defeat of foreign powers. These reverse types often represent the subordination of recently conquered territories to Roman authority. Such coins are examples of ancient political propaganda, the Roman Empire may be represented by a proud warrior raising an undersized figure, representing the defeated enemy. Throughout history, coins have commonly been issued on special occasions, in some cases, emergency money have been issued under unfavourable conditions, such as a city under siege. Such emergency coins were issued in Vienna in 1529, while the city was besieged by the troops of the Ottoman Empire, due to the conditions at the time, such coins are frequently minted on square flans, rather than round ones. John Calvin Coolidge Jr. was the 30th President of the United States. A Republican lawyer from Vermont, Coolidge worked his way up the ladder of Massachusetts state politics and his response to the Boston Police Strike of 1919 thrust him into the national spotlight and gave him a reputation as a man of decisive action. Soon after, he was elected as the 29th vice president in 1920, elected in his own right in 1924, he gained a reputation as a small-government conservative, and as a man who said very little, although having a rather dry sense of humor. Coolidge restored public confidence in the White House after the scandals of his predecessors administration, as a Coolidge biographer wrote, He embodied the spirit and hopes of the middle class, could interpret their longings and express their opinions. That he did represent the genius of the average is the most convincing proof of his strength, Coolidges retirement was relatively short, as he died at the age of 60 in January 1933, less than two months before his immediate successor, Herbert Hoover, left office. Though his reputation underwent a renaissance during the Ronald Reagan administration, John Calvin Coolidge Jr. was born in Plymouth Notch, Windsor County, Vermont, on July 4,1872, the only U. S. president to be born on Independence Day. He held various offices, including justice of the peace and tax collector. Coolidges mother was the daughter of a Plymouth Notch farmer and she was chronically ill and died, perhaps from tuberculosis, when Coolidge was twelve years old. His younger sister, Abigail Grace Coolidge, died at the age of fifteen, probably of appendicitis, Coolidges father remarried in 1891, to a schoolteacher, and lived to the age of eighty. Coolidges family had roots in New England, his earliest American ancestor, John Coolidge, emigrated from Cottenham, England, around 1630 and settled in Watertown. 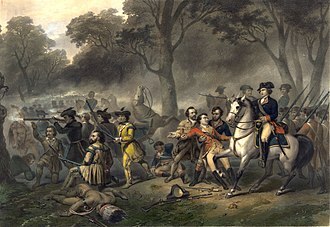 Another ancestor, Edmund Rice, arrived at Watertown in 1638, Coolidges great-great-grandfather, named John Coolidge, was an American military officer in the Revolutionary War and one of the first selectmen of the town of Plymouth Notch. His grandfather, Calvin Galusha Coolidge, served in the Vermont House of Representatives, many of Coolidges ancestors were farmers, and numerous distant cousins were prominent in politics. Coolidge attended Black River Academy and Amherst College, where he distinguished himself in the class, as a senior joined the fraternity Phi Gamma Delta. While there, Coolidge was profoundly influenced by philosophy professor Charles Edward Garman, the only hope of perfecting human relationships is in accordance with the law of service under which men are not so solicitous about what they shall get as they are about what they shall give. Yet people are entitled to the rewards of their industry, what they earn is theirs, no matter how small or how great. But the possession of property carries the obligation to use it in a larger service, at his fathers urging after graduation, Coolidge moved to Northampton, Massachusetts to become a lawyer. To avoid the cost of law school, Coolidge followed the practice of apprenticing with a local law firm, Hammond & Field. The United States Bicentennial coinage was a set of circulating commemorative coins, consisting of a quarter, half dollar and dollar struck by the United States Mint in 1975 and 1976. Regardless of when struck, each bears the double date 1776–1976 on the normal obverses for the Washington quarter, Kennedy half dollar. No coins dated 1975 of any of the three denominations were minted, given past abuses in the system, the Mint advocated against the issuance of commemorative coins starting in the 1950s. 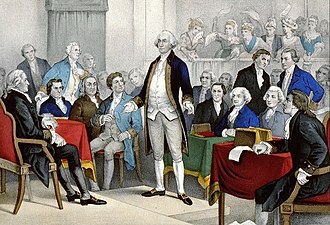 Beginning in 1971, members of Congress introduced bills to authorize coins to honor the United States Bicentennial, a nationwide competition resulted in designs of a Colonial drummer for the quarter, Independence Hall for the half dollar and the Liberty Bell superimposed against the moon for the dollar. All three coins remain common today due to the quantity struck, circulation pieces were in copper nickel, Congress mandated 45,000,000 part-silver pieces be struck for collectors. The Mint sold over half of the coins before melting the remainder after withdrawing them from sale in 1986. Commemorative coins had been struck for a number of events and anniversaries by the United States Mint since 1892, organizations would get Congress to authorize a coin and would be allowed to buy up the issue, selling it to the public at a premium. The final issue among these commemoratives, half dollars honoring Booker T. Washington and George Washington Carver were struck over a number of years, originally priced at $3.50, they were repeatedly discounted, many could not be sold at a premium and entered circulation. The promoter of these issues, S. J, mishandled the distribution and lost $140,000. 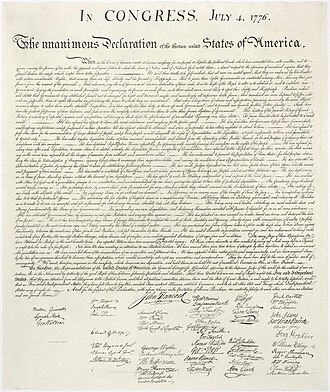 The negative publicity caused the Department of the Treasury, of which the Mint is a part, to oppose subsequent commemorative coin proposals, in 1966, Congress established the American Revolutionary Bicentennial Commission to plan and coordinate activities connected with the 1976 bicentennial of American Independence. In February 1970, the ARBC established a Coins and Medals Advisory Committee, the committees initial report, in July 1970, called for the production of a commemorative half dollar for the Bicentennial. George Wharton Pepper was an American lawyer, law professor, Christian activist and Republican politician from Philadelphia, Pennsylvania. He represented Pennsylvania in the United States Senate and founded the law firm of Pepper Hamilton, Pepper was born to upper-class parents, physician George Pepper and his wife Mehitable Markoe Wharton, on March 16,1867. Each was descended from families prominent in the region since the colonial-era, Pennsylvania Dutch on his fathers side and Quakers and he was born in his paternal grandmothers house, in a fashionable neighborhood,1215 Walnut Street. Their first child had died in infancy, and the family moved to quarters on Pine Street. Dr. Wharton died when George was seven and his only sister Frances a newborn and his mother home-schooled her weak-eyed son, with the assistance of his uncle Dr. William Pepper and a blind tutor, John F. Maher. His grandmothers summer estate up the Schuylkill River became one of those consolidated into Laurel Hill Cemetery and he considered Willie Ryder his best friend, noting that he was colored, and remembered informally competing at memory exercises with boys from a nearby prep school. In 1876, his mother remarried, to his fathers friend and former classmate, admitted to his fathers alma mater, the University of Pennsylvania, Pepper was active in athletics and drama. In addition to activities, Pepper started the school newspaper. He joined several organizations, including the Zeta Psi fraternity, Sketch club, Pepper graduated first in his class from the college in 1887. On November 25,1890 in New Haven, Pepper married Charlotte Root Fischer, daughter of Professor George Park Fisher and they had three children, Adeline Louise Forbes Pepper, George Wharton Pepper, and Charlotte Eleanor Pepper. Both daughters married Fitz Eugene Newbold, Adeline seven years after her sister Charlottes death, during law school, Pepper worked part-time for the prestigious firm Biddle and Ward. He was admitted to the bar in 1889 and he taught law at his alma mater for more than two decades, as well as maintained a private practice. In 1890-1891, he visited Harward Law School in Cambridge, Massachusetts and applied by John Chipman Gray in Property, James Bradley Thayer in Evidence and Constitutional Law, James Barr Ames in Torts and Pleading, and Samuel Williston in Contracts. The Statue of Liberty is a colossal neoclassical sculpture on Liberty Island in New York Harbor in New York City, in the United States. The copper statue, a gift from the people of France to the people of the United States, was designed by French sculptor Frédéric Auguste Bartholdi, the statue was dedicated on October 28,1886. The Statue of Liberty is a female figure representing Libertas. She holds a torch above her head, and in her left arm carries a tabula ansata inscribed July 4,1776, a broken chain lies at her feet. The statue became an icon of freedom and of the United States, due to the post-war instability in France, work on the statue did not commence until the early 1870s. In 1875, Laboulaye proposed that the French finance the statue, Bartholdi completed the head and the torch-bearing arm before the statue was fully designed, and these pieces were exhibited for publicity at international expositions. The torch-bearing arm was displayed at the Centennial Exposition in Philadelphia in 1876, fundraising proved difficult, especially for the Americans, and by 1885 work on the pedestal was threatened due to lack of funds. Publisher Joseph Pulitzer of the New York World started a drive for donations to complete the project attracted more than 120,000 contributors. The statue was constructed in France, shipped overseas in crates, the statues completion was marked by New Yorks first ticker-tape parade and a dedication ceremony presided over by President Grover Cleveland. The statue was administered by the United States Lighthouse Board until 1901 and by the Department of War, public access to the balcony surrounding the torch has been barred for safety reasons since 1916. The project is traced to a conversation between Édouard René de Laboulaye, a staunch abolitionist and Frédéric Bartholdi, a sculptor. 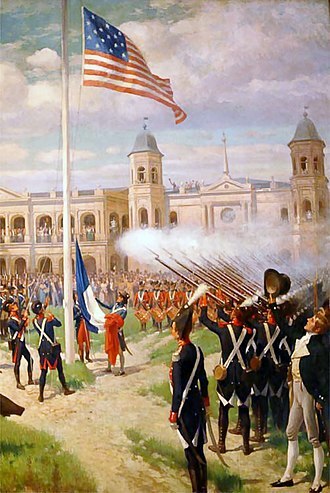 The National Park Service, in a 2000 report, deemed this a legend traced to an 1885 fundraising pamphlet, in order to honor these achievements, Laboulaye proposed that a gift be built for the United States on behalf of France. Laboulaye hoped that by calling attention to the recent achievements of the United States, according to sculptor Frédéric Auguste Bartholdi, who recounted the story, Laboulayes comment was not intended as a proposal, but it inspired Bartholdi. Liberty Leading the People, 1830, by Eugène Delacroix, gave rise to the modern French national personification Marianne. The Sesquicentennial half dollar. Its reverse was used as the basis for the Franklin half dollar's reverse. John R. Sinnock's medal of Franklin served as the basis of his obverse for the half dollar. The release of the Franklin half dollar was front page news in the coin collecting world, as seen by the June 1948 The Numismatist. The US bicentennial quarter is an example of a true commemorative coin. Coin issued during the reign of Roman emperor Lucius Verus (161-169) to celebrate his victory against Vologases IV of Parthia. The reverse shows the mourning personification of Armenia. Denmark two kroner coin issued in 1912 commemorating the accession in that year of king Christian X. The king’s late father, Frederik VIII is depicted on the reverse. Soviet rouble of 1965, commemorating the 20th anniversary of the victory in World War II. 60 million pieces were minted and circulated as regular currency. The Gold Medal of Award sculpted by Albert Laessle. The 80-foot tall illuminated Liberty Bell spanning Broad St.
Mirabeau B. Lamar, second president of the Republic of Texas, terminated annexation efforts with the Martin Van Buren Administration in 1838. A map, published in the Newark Daily Advertiser as the U.S. Senate was considering a Joint Resolution for the Annexation of Texas that had been adopted by the House of Representatives. Part of the Fountain of Creation (1933, unfinished), at the Library of the University of Illinois at Urbana-Champaign. Fountain of Time (1910–22), Midway Plaisance, Chicago, Illinois. A scandal involving actress Mabel Normand was one event which led to the issuance of the Monroe Doctrine Centennial half dollar. Seal of the 1901 Pan-American Exposition. Its designer, Raphael Beck, considered Beach to have plagiarized his work. Senator Pepper enjoys a game of baseball with the Senate pages in the 1920s. A photograph of the Mint engravers. Morgan is seated in the front row, second from right. 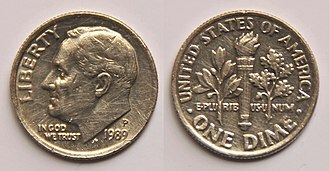 Obverse: Portrait of Franklin D. Roosevelt, year and US national motto (In God we trust).